seem to characterize the conduct of our Bar Council of India. Otherwise it is hard to understand the many false steps it had taken and yet taking. If not be humble and helpful and stoop to serve the lowly and the needy, at least they should care for the weal and woe of their own ilk. But it seems this ‘management committee’ of Indian advocates falls too short of such high expectations. 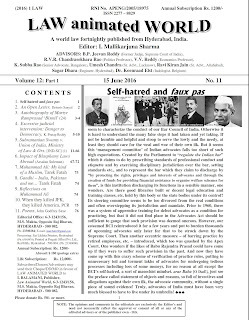 Created by the Parliament to “regulate the Indian bar” which it claims to do by prescribing standards of professional conduct and etiquette and by exercising disciplinary jurisdiction over the bar, setting standards etc., and to represent the bar which they claim to discharge by “by protecting the rights, privileges and interests of advocates and through the creation of funds for providing financial assistance to organise welfare schemes for them”, is this institution discharging its functions in a sensible manner, one wonders. Are there good libraries built or decent legal education and training classes, etc. held by this body or the state bodies under its control? Its steering committee seems to be too divorced from the real conditions and often overstepping its jurisdiction and mandate. Prior to 1960, there was a system of apprentice training for debut advocates as a condition for practicing, but that it did not find place in the Advocates Act should be sufficient to gauge that such provision was deemed onerous. However, our esteemed BCI reintroduced it for a few years and put to burden thousands of upcoming advocates only later for that to be struck down by the Supreme Court. Then another eccentric measure – of barring practice by retired employees, etc. – introduced, which too was quashed by the Apex Court. One wonders if the likes of Babu Rajendra Prasad could have come up if they were to suffer such provision in the past. And now they have come up with this crazy scheme of verification of practice rules, putting to unnecessary toil and torment lakhs of advocates for undergoing tedious processes including loss of some moneys, for no reason at all except the BCI’s self-hatred, a sort of masochist mindset. arae Baba [O Dad! 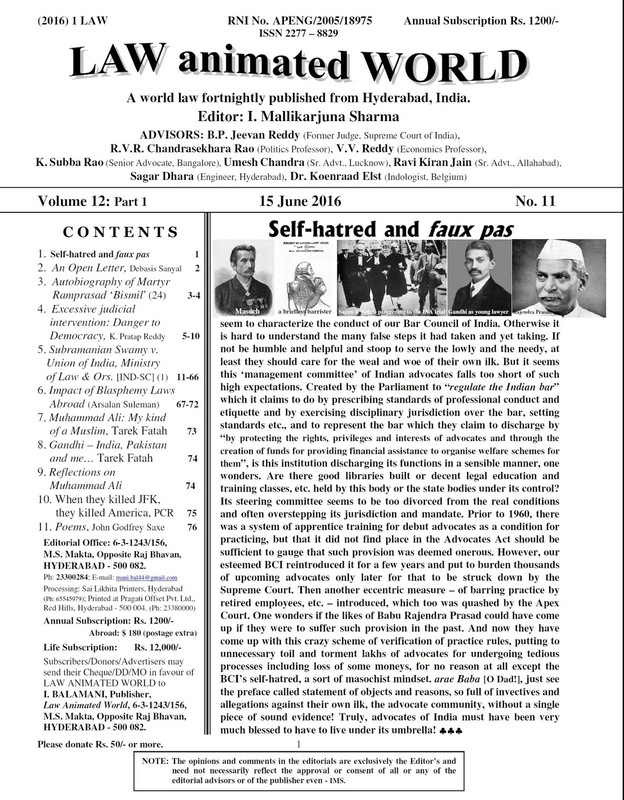 ], just see the preface called statement of objects and reasons, so full of invectives and allegations against their own ilk, the advocate community, without a single piece of sound evidence! Truly, advocates of India must have been very much blessed to have to live under its umbrella!